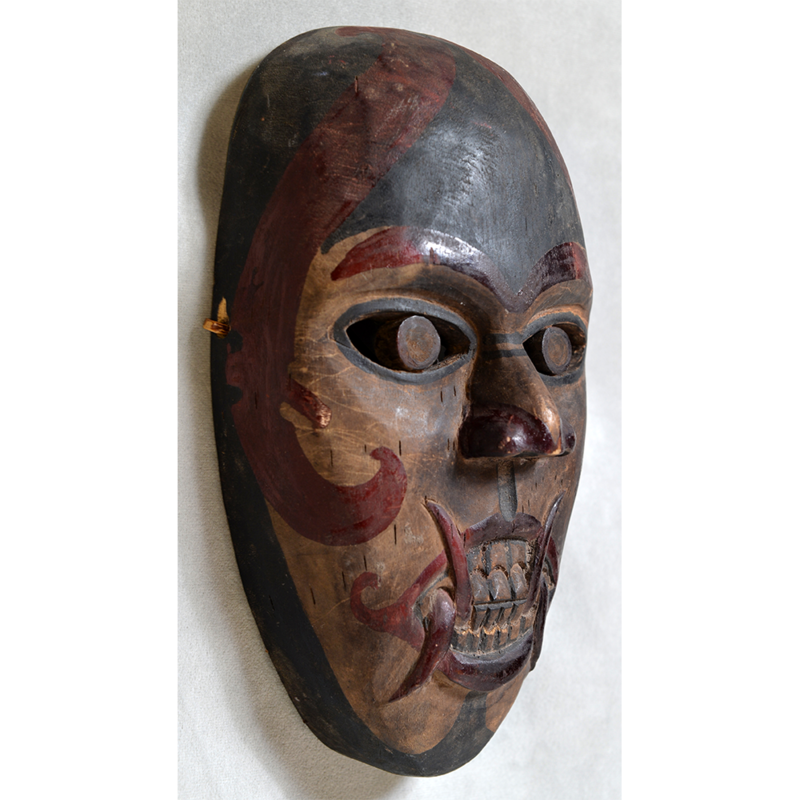 Not much is known about the masked ceremonies of the South Kalimantan region of Borneo. 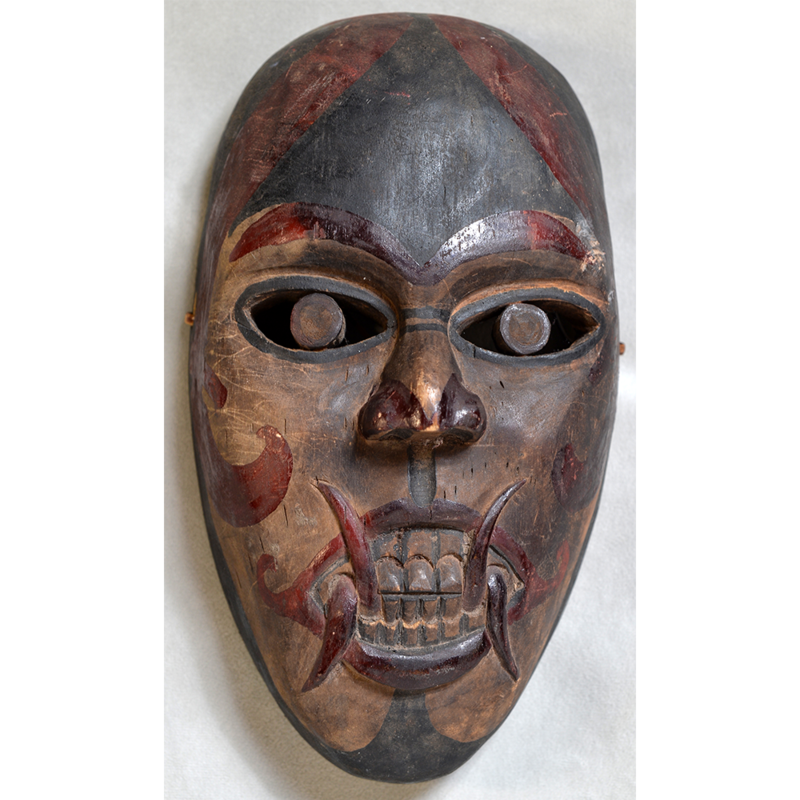 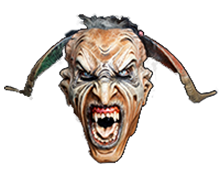 This mask dates to the late 19th century and represents a demon. 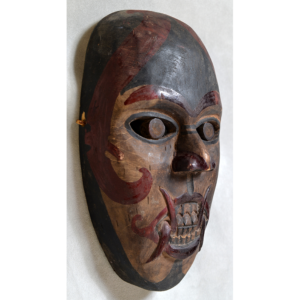 Stylistically, it shows traces of Hindu influence from Javanese settlers, transmitted to the settlers from Indian traders in previous centuries. 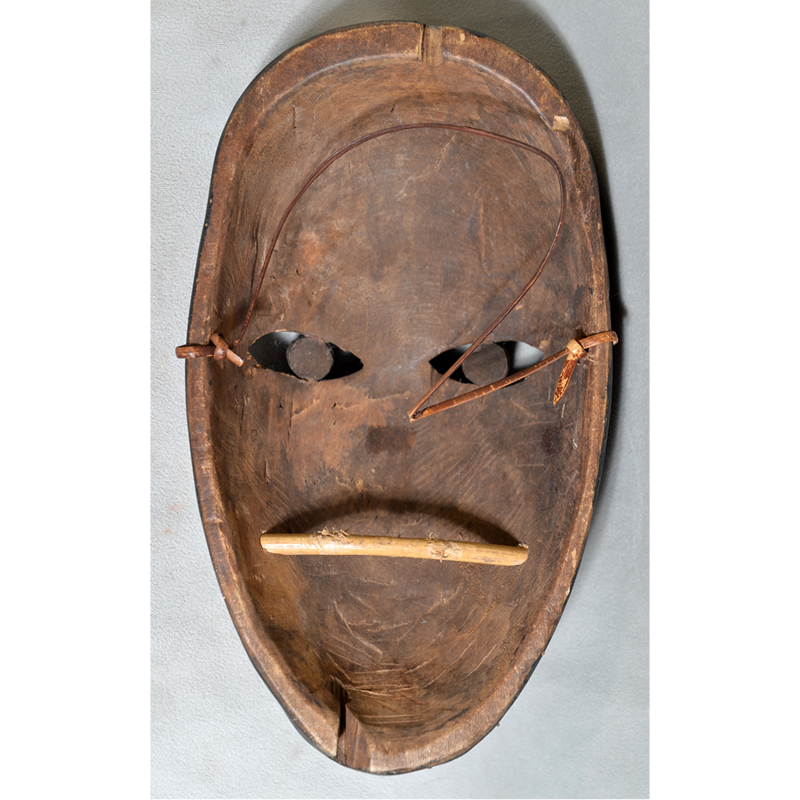 Such masks were most probably used to drive away evil spirits from the village during important ceremonies, such as funerals, and from crop fields.